Cookie lovers everywhere will love this selection of classics. 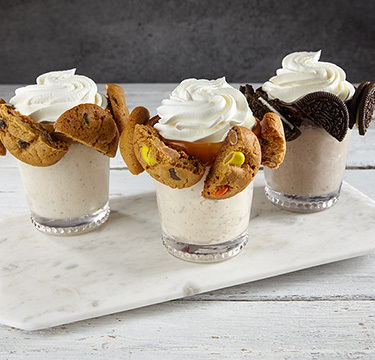 Enjoy three mini shakes: Crunchy Cookie Dough in a cookie-butter rimmed glass, Double Chocolate Sandwich Cookie in a fudge-cookie rimmed glass, and Caramel Peanut Butter in a peanut butter and cookie rimmed glass. Served with a plate of warm mini cookies to dunk. Place ice cream, cookies, and whole milk into blender; blend until smooth. Rim 8 oz glass with cookie butter and mini chocolate chips. Top milkshake with whipped cream and cherry. Place ice cream, chocolate sandwich cookies, and whole milk into blender; blend until smooth. Rim 8 oz glass with chocolate fudge sauce and halved chocolate sandwich cookies. 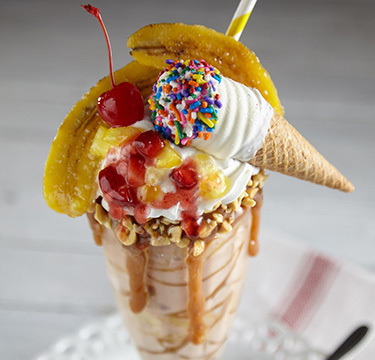 Pour milkshake into garnished glass. Finish with whipped cream and cherry. Place ice cream, crumbled cookies, whole milk, and salted caramel sauce into blender; blend until smooth. Rim 8 oz glass with peanut butter and halved peanut butter cookies. 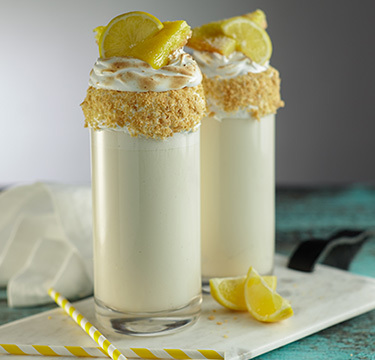 Pour shake into glass; garnish with whipped cream and cherry. Arrange shakes and cookies on platter as flight; serve. 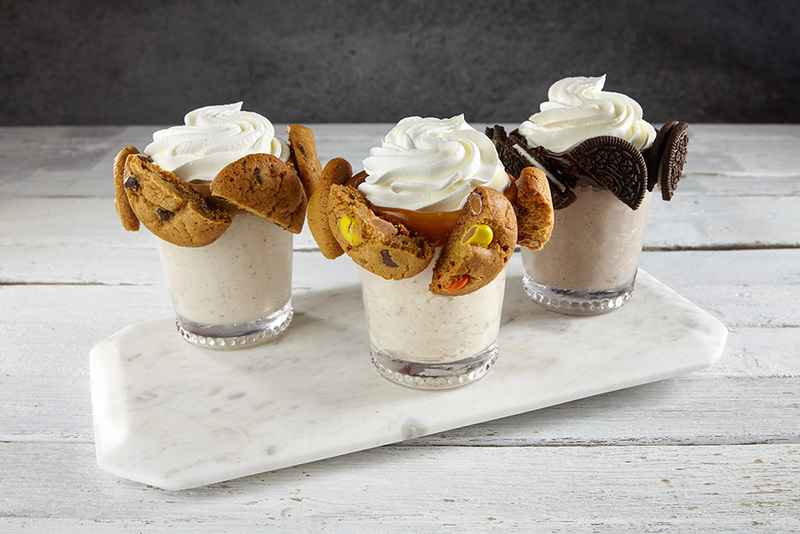 Can substitute halved chocolate chip cookies to the Crunchy Cookie Dough Milkshake instead of mini chocolate chips.